Collaboration with Kay McGowan of A Curated World in Somerville, led to an afternoon of creating lavender sachets (who knew, we both sew!) and shopping the beautiful leather goods. 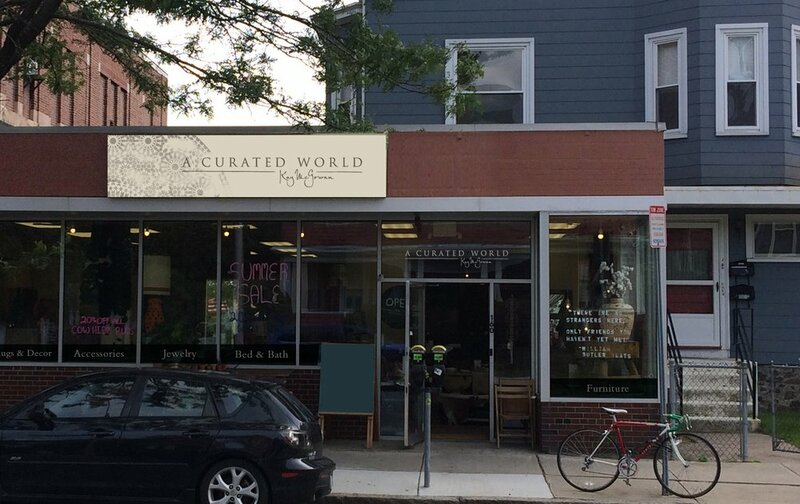 Shop sign design for A Curated World. We leveraged the inky-handmade stamp-on-oaktag feel found throughout the store. Shown here is the design in comp form. Hoping to see this baby live and printed in a few weeks!